Hello! I'm trying to write this post with one foot raised in the air, no easy feat I can tell you! You may remember a few weeks back I snapped my achilles tendon half off (ouch) and now I have to wear this boot for 8 weeks! I can only describe it as doing everything with one ski boot on - photo shoots, writing my book, errands, even sleeping (if ever there was an excuse for apres ski!)! And I've been told to keep it raised to reduce the swelling too - needless to say things are running a little slower than usual. But it has given me the excuse for lots of time lounging in my window nook (every cloud... as they say!). 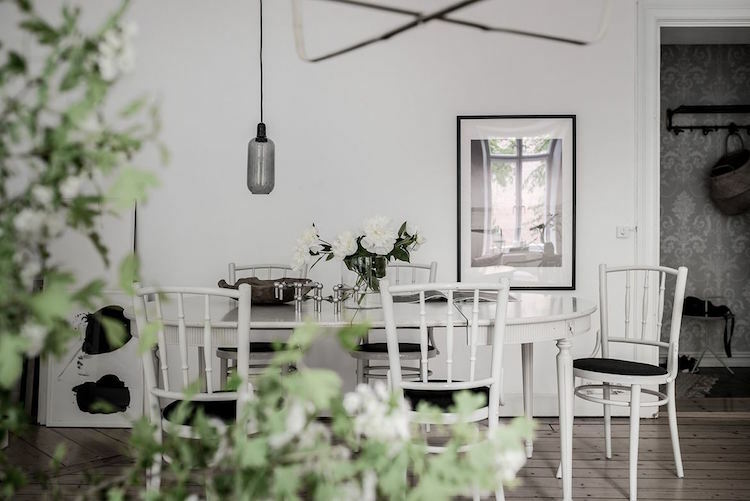 I noticed that when styling this lovely home in Gothenburg, Emma Fischer has also gone for the Söderhamn series - but opted for three in a row to make a luxuriously deep sofa. What a great idea! In fact, I think I need something like this in my own home. 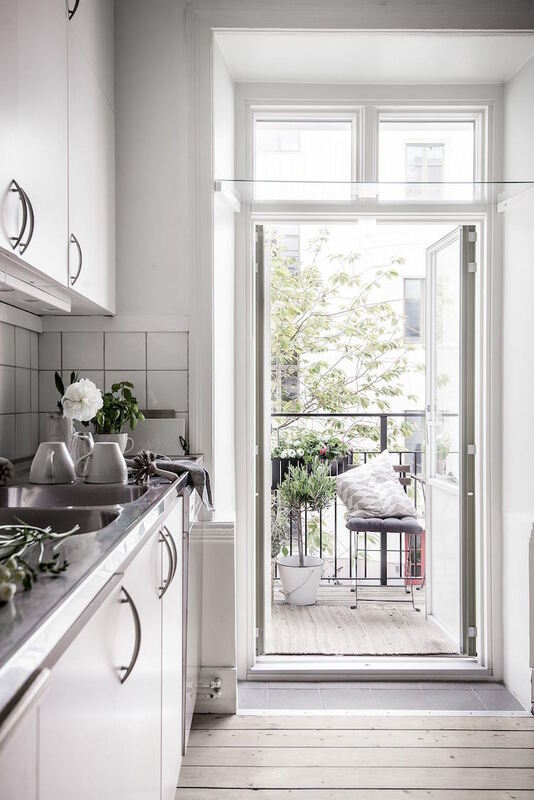 The rest of the apartment is pretty nice too, don't you think? Photography: Alen Cordic. Styling Emma Fischer. For sale through Bjurfors. I do love that sitting room! 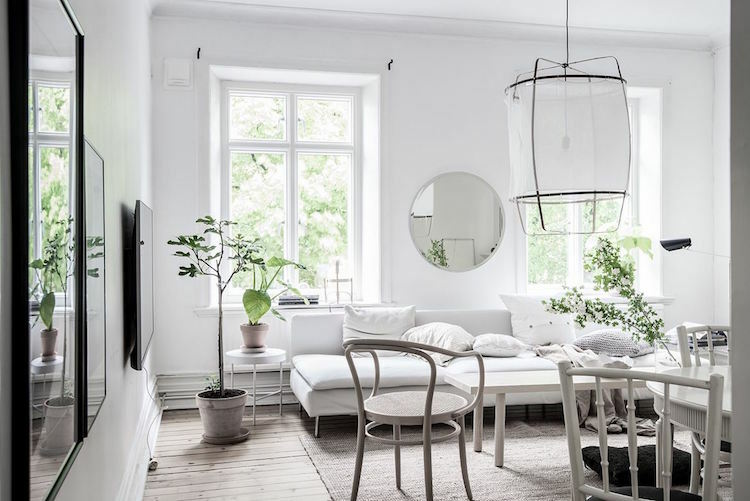 The white, all the plants.... even the TV looks good! Could you imagine lazing around there? 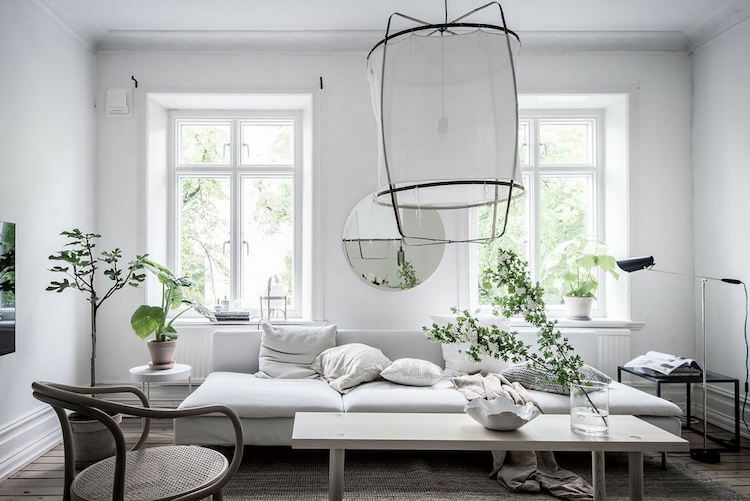 Get the look: sitting room: Söderhamn sofa series, Z1 pendant light (same as in my bedroom), Round chair, this round mirror is similar. 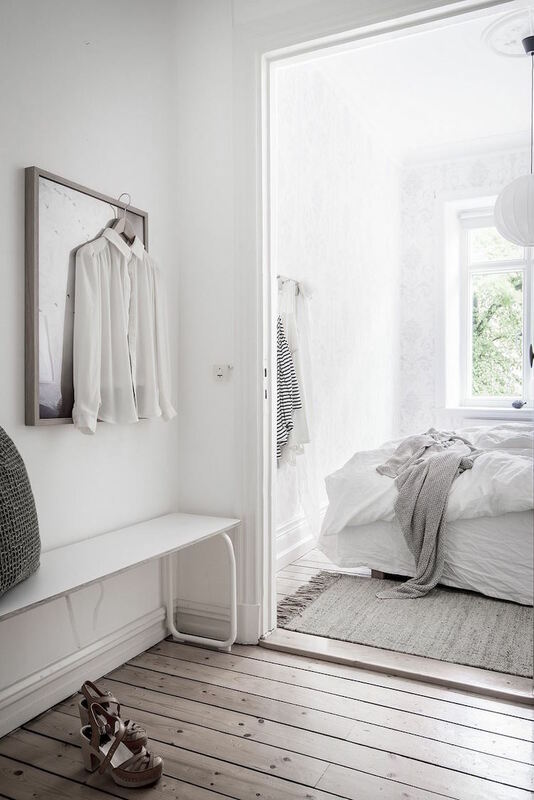 hallway: Swedish Hasbeen sandals. Balcony: House of Rym sells beautiful cushions. 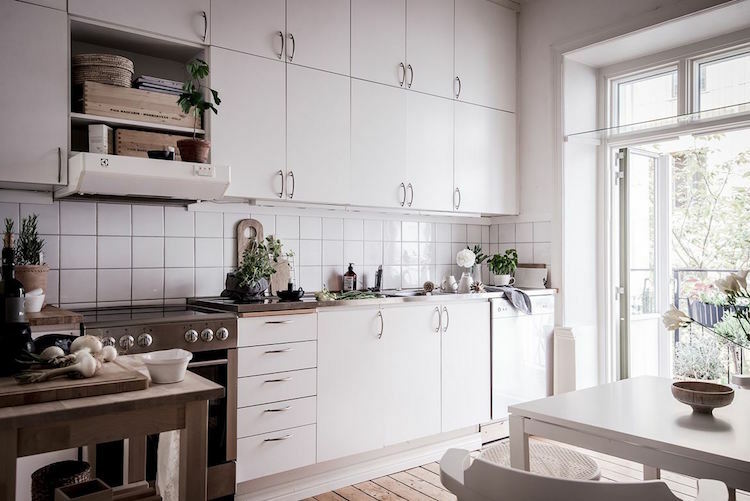 For more homes with a lovely white touch check out this archive (if this home comes up first just scroll passed). Oh so serene! 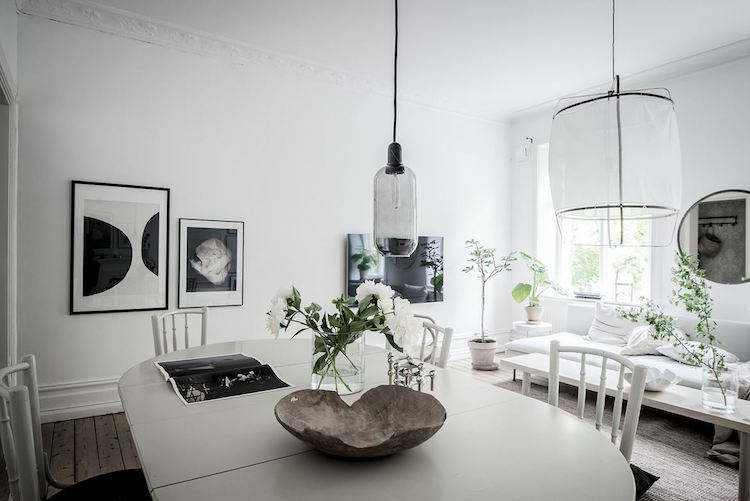 You can never go wrong with white, don't you think? 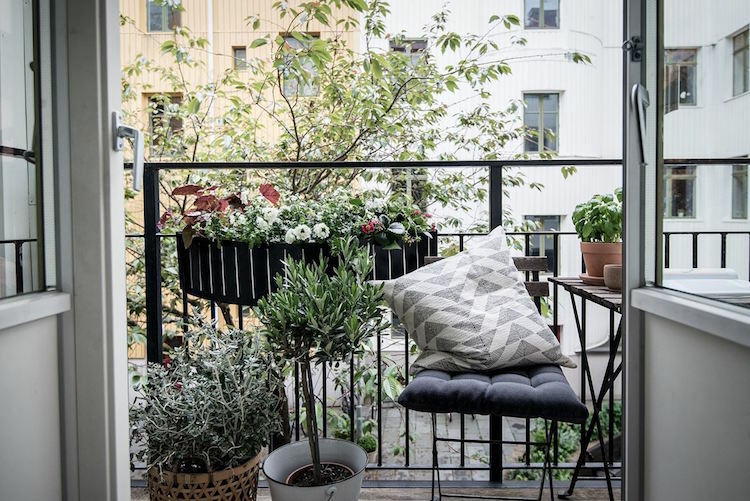 I love this, especially that balcony off the kitchen. What a nice place to drink coffee. If you enjoy reading, have you ever read Miss Pettigrew Lives for a Day? It's a really cheerful, light happy read. Very entertaining and hilariously funny, not too long either. I was able to get it for about $10US from Amazon.